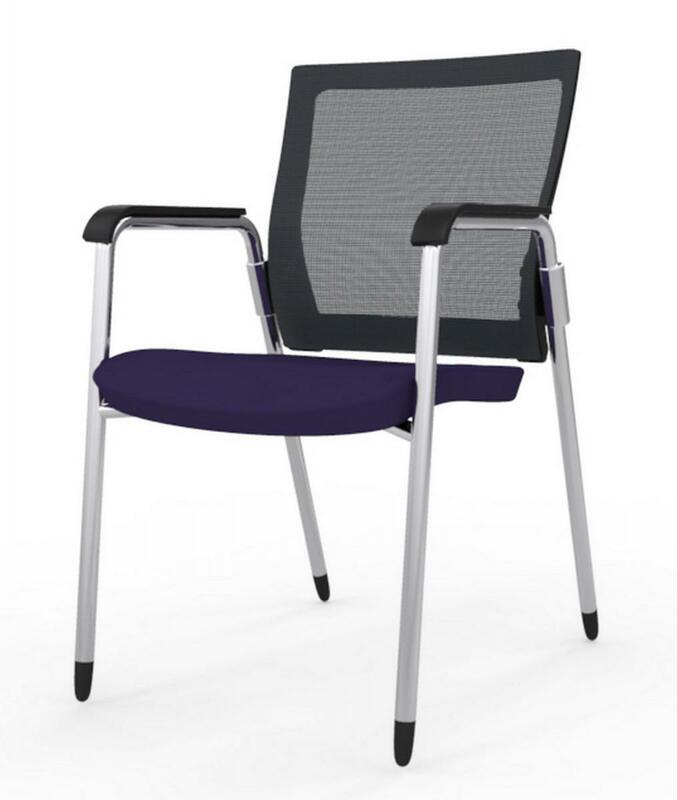 Frame: natural lumbar available in black frame with matching mesh and arm caps or white frame with gray mesh and white arm caps. ■ 2” thick polyurethane contoured seat. and seat, 100,000 double-rubs. Passes CAL Technical Bulletin 117-2013. ■ Steel tube plated legs. Plastic glides or optional casters. ■ ANSI & BIFMA certified. ■ Made with 38% post-consumer (PC) & 18% preconsumer (PI) aggregate recycled content. seat to top of back: 18”; arm rest height: 26”. I would like to receive pricing for the following item: IDESK Oroblanco Side Chair.